One of the most important environmental and local empowerment laws of all time is inches away from the finish line, and we need your help to push it across. We are uniquely positioned at a critical moment in time to play a decisive role in the adoption of sweeping protections for West Papua, Indonesia – the most biodiverse region on Earth, home to more than 1,800 species of fish, three quarters of the world’s hard coral species, the world’s largest mangrove forest, and the world’s second-**largest rainforest**, much of which is completely unexplored. New species are found regularly throughout this vastly rich center of life on Earth. 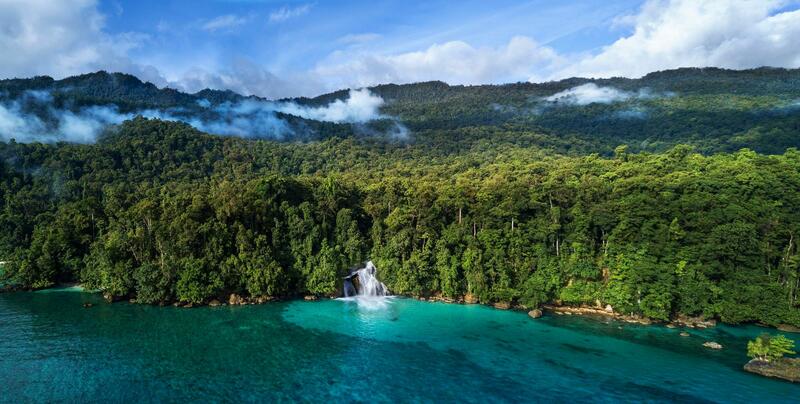 In 2015, the provincial governor of West Papua made a groundbreaking declaration, laying the foundation to create the World’s first Conservation Province, or Provinsi Konservasi, established to ensure the long-term environmental health of the entire region. Empowering local communities to control and protect crucial community resources. Blue Sphere Foundation has been working with Conservation International for the last three years to drive the adoption of this historic law. Over the course of the last month, they presented their new film, Provinsi Konservasi, to audiences across the province on a grand-scale Outdoor Cinema. This media tour directly engaged and inspired more than 25,000 people, resulted in a petition signed by more than 700 local leaders in support of the Provinsi Konservasi legislation (the Perdasus), and was fundamental to securing a commitment from key members of the West Papuan Parliament to pass the Perdasus in the November 2018 parliamentary session. These parliamentary leaders have directly asked for our help to pass the law. Specifically, they have asked us to gather as many signatures as possible to show the other members of parliament that the world is watching. We must deliver. This is our best chance to secure protections for this global jewel, and pave the way to a sustainable future for its people. We only have until December 1st. Your voice has never been so important. Please sign this letter of support by filling in the information below and tell everyone you know. Your name will be delivered directly to the Parliament of West Papua, and your voice will be heard. WEST PAPUA NEEDS YOUR HELP NOW. Show West Papua's parliament that you support the creation of the world's first Conservation Province.